34 m2 / 364 sq.ft. 114 m2 / 1,220 sq.ft. 426 m2 / 4,585 sq.ft. Stay for three nights for the price of two nights. Rate includes daily breakfast, complimentary one-way airport transfer, one time snorkeling trip to Blue Lagoon and more. Plan 30 days in advance to enjoy 30% saving on your stay. Rate includes daily breakfast, one time 30 minutes spa treatment. Stay 2 nights get one way airport transfer and stay 5 nights or more get complimentary return airport transfer. The flexible rate allows free cancellation and amendments . Rate includes daily breakfast, one time 30 minutes spa treatment. Stay 2 nights get one way airport transfer and stay 5 nights or more get complimentary return airport transfer. Easter is just around the corner, and Alila Manggis is celebrating in style with 30% off on all the rooms. Book a last minute escape and enjoy 25% off our flexible rate. Rate includes daily breakfast, one time 30 minutes spa treatment. Stay 2 nights or more get complimentary one-way airport transfer. Spend your three nights honeymoon at Alila Manggis now to receive one-night extra for the third night of your next year anniversary! Rate includes breakfast, two or six dives, Zentsu session, 3-course dinner, return airport transfers and more. 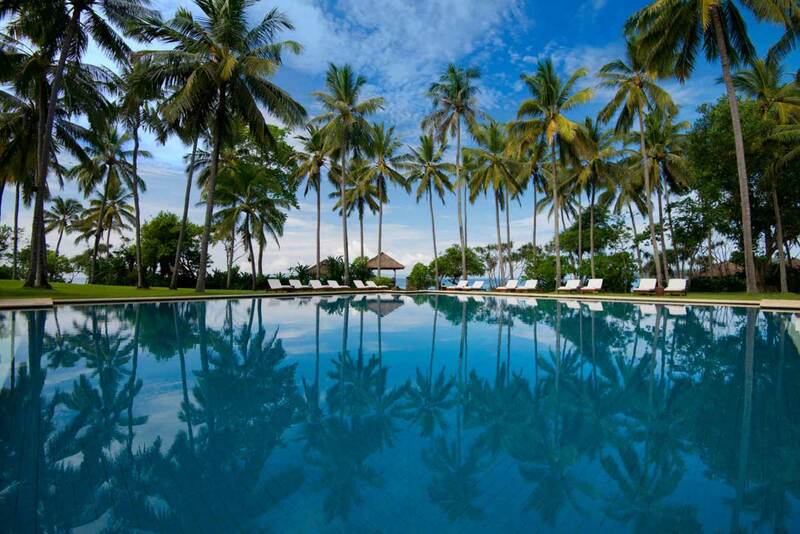 Alila Manggis is situated within the regency of Karangasem, close to the village of Candidasa. Here the local people follow a traditional lifestyle, whether cultivating rice, farming, fishing, weaving baskets and the famous double ikat textiles, or salt making. Alila Manggis’ breathtaking location between the sea and Bali’s sacred Mount Agung inspired a seamless concept for the resort by its designers at Kerry Hill Architects, with free-flowing interaction between the buildings and surrounding nature. 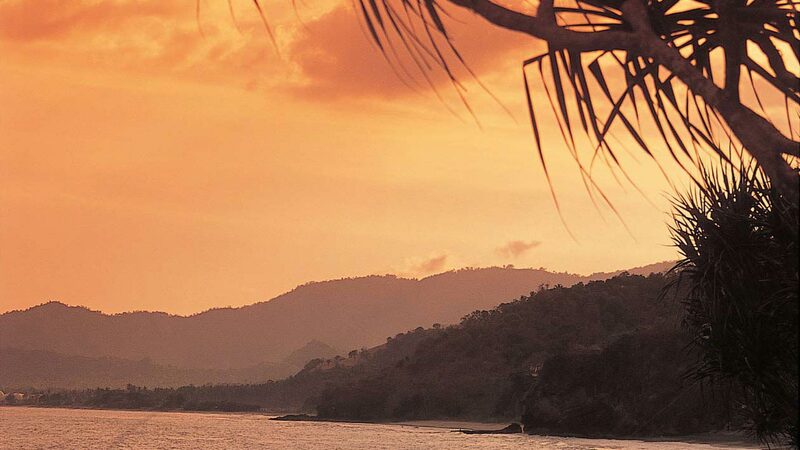 Express your love in a retreat by the ocean amid the magic of East Bali. For retreats with a difference, how about meeting in the serenity of our organic garden, amidst paddy fields with mountain and distant ocean views? Set in a traditional Balinese pavilion on a lotus pond, Seasalt serves contemporary cuisine and traditional Indonesian and Balinese favourites. Nestled right by the ocean, the Ocean Bar at Alila Manggis is a cosy al fresco lounge and bar offering an extensive and creative menu of drinks and light bites. A relaxing destination to enjoy cool refreshment, sunset cocktails, or drinks under the stars. From the culinary team at Alila Manggis comes an extraordinary dining experience curated specially for couples, offering a celebration of endless romance in a uniquely timeless setting. Rediscover the wholesome, nurturing flavors of unprocessed ingredients with Alila Manggis cooking classes, the first cooking class in Bali since 1994. Experience the blend of ancient Asian healing techniques and age-old beauty recipes featuring fresh, natural, quality ingredients. Achieving the prestigious EarthCheck Gold certification in 2016, Alila Manggis upholds the highest commitment to environmental and social responsibility.